Two years after their successful collaboration on the Nexus 5, LG and Google are back with a new flagship Android smartphone: the 5.2-inch Nexus 5X. Along with the Nexus 6P from Huawei, also announced today, this new smartphone will debut in October and showcase Google's latest Android OS, Marshmallow. 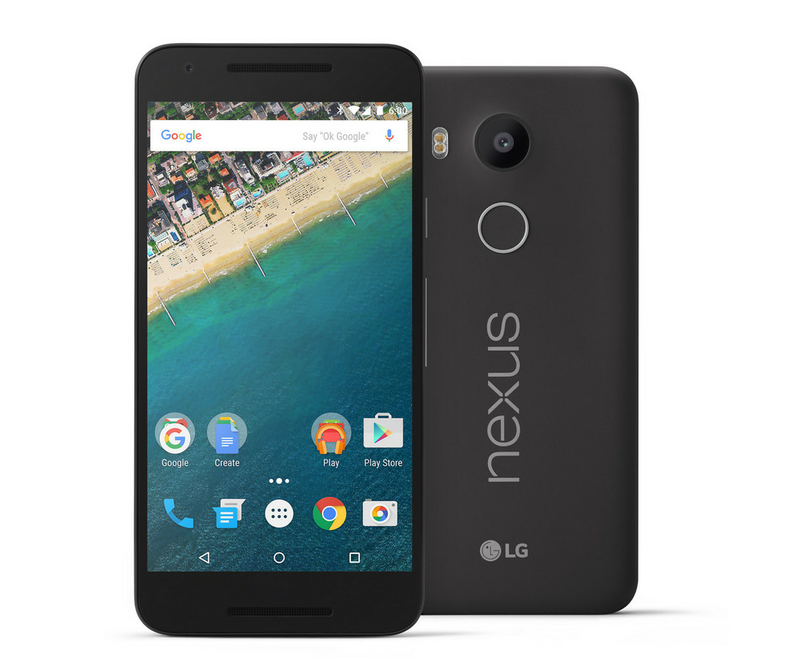 "The Nexus 5X offers top of the line performance at an affordable price," promised Google as it unveiled its latest. Built around Qualcomm’s Snapdragon 808 processor, it has a perfectly adequate spec sheet that accounts for all the user’s needs without tacking on any frills. The Nexus 5X has a 1080p display protected by Gorilla Glass 3, a new 12-megapixel camera with "very large" 1.55-micron pixels and 4K video shooting, and a USB-C charging connector, which Google introduced to its hardware lineup with this year's Chromebook Pixel model. Relative to previous Nexus devices, the most important upgrade on the Nexus 5X will probably be the fingerprint sensor on the back. Google calls this Nexus Imprint and is joining Samsung, Apple, and most other smartphone manufacturers in recognizing the great utility of fingerprint authentication for getting security-sensitive stuff — such as payments via Android Pay — done on your phone. Nexus Imprint takes only 600ms to recognize your fingerprint and Google says it "gets better over time, with each use it learns more about your unique fingerprint." Nexus Imprint and the 12-megapixel camera are shared features between the two new Nexus devices. You can now double-tap the power button to activate the camera, similar to Samsung's double-tap of the home button on this year's Galaxy handsets. Google Now on Tap, Android's battery-saving Doze mode, and all the other exciting new features of Android Marshmallow will figure on the Nexus 5X. A couple of other salient specs of the new device include a 2,700mAh battery, 2GB of memory, and the laser auto-focus system that LG introduced with its G3 smartphone last year. Google has priced the 16GB Nexus 5X at $379 in the United States, with its larger sibling Nexus 6P starting at $499. Both will be unlocked, without tying you to a contract, and will work across major US networks. All Nexus preorders — which start today — will include a 90-day free trial of Google Play Music and US buyers will also get a $50 Play Store credit. Google is today also introducing a new Nexus Protect warranty program, which costs $69 for the Nexus 5X and provides two years of mechanical breakdown and accidental damage coverage. You'll get an overnight replacement unit sent to you while your original is being repaired, promises Google. The Nexus 5X is available for preorder from the Google Store today in the United States, Canada, UK, Ireland, Korea, and Japan. It will ship in the latter half of October, and availability will be added for nearly 40 more countries on October 19th.